Besieged by a foot and a half of snow that ended early this morning, and unable to leave my driveway to go to work, I awaited the plow by building a snowman with my wife and son. 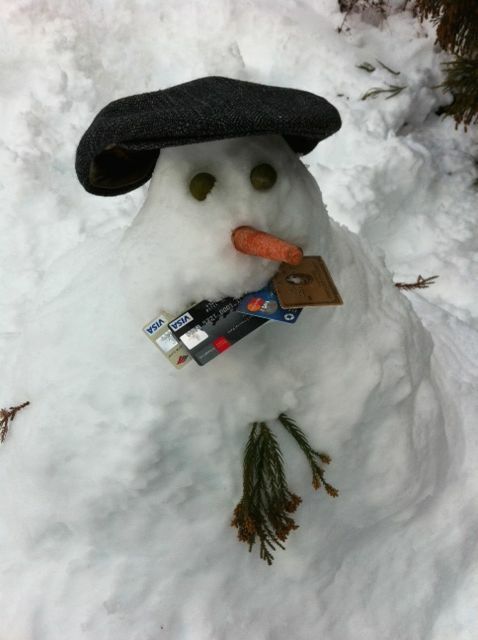 Alas, the snowman ate my credit cards. Kudos to my associate, Jason S. Leibowitz, who made it in to the Central Islip Bankruptcy Court this morning for five confirmation hearings before Judge Alan Trust, who rescheduled his calendar to begin an hour later because of the snow. Because I’ve been so busy representing clients these past few months, I’ve been a little slow in commenting on some national-level periodicals that have quoted me on various bankruptcy and foreclosure issues. On November 12, 2010, Rachel Beck, writing for AP in an article that appeared in the Boston Globe and several other newspapers, discussed the recent revelation that many foreclosure cases across the nation were based on robo-signed mortgage documents. As New York has become a hotbed of cases in which judges have expressed their frustration with mortgage lenders who are reckless with their litigation, she asked for my comments. NEW YORK—It isn’t just Justin Bieber videos or stunning plays in a middle-school football game that are getting attention on YouTube these days. Add to the list a former hotel maid explaining how she signs thousands of mortgage documents a year without a clue to what she’s putting her name on. The nation’s foreclosure crisis took a turn six weeks ago when it became clear that banks and processing firms had employees sign court documents that had information that was unverified or even false. The reason — or at least the reason lenders give for the sloppy work — is that they are drowning in foreclosures. Doko worked as a maid and assembled electronics before joining Nationwide Title Clearing six years ago. She is one of three NTC employees whose video depositions were posted on YouTube by Forrest as part of a foreclosure case he is handling in Florida. She and her colleagues tell of signing thousands of mortgage documents a day. One worker estimates signing 5,000 documents a day on average, another says she signs her name every 2 seconds. They acknowledge their signatures differ on certain documents. Doko says she only signs documents as a witness. She says she never signs under the title of vice president. Forrest then shows her a document with her name on it. “Beneath your name it says vice president?” Forrest asks. But you do agree with me, beneath your name it says vice president … and above your name it says Financial Freedom Senior Funding Corp. So when you sign this document, do you know whether you are signing as vice president of this company or as a witness?” asks Forrest. The big mortgage lenders have been doing their own investigations regarding the entire foreclosure process. Some, including Bank of America and Ally Financial Inc.’s GMAC Mortgage, have started processing foreclosures again, after calling a temporary halt while they reviewed documents. In the news this week was an interesting convergence between the need to investigate mortgage fraud and the desire to maximize the distribution to creditors of a defunct mortgagee. I first wrote about American Home Loan Mortgage Company in 2007, which was based on Long Island. At the time they were one of the country’s largest mortgage lenders and they quickly and utterly collapsed as one of the earliest victims of the sub-prime mortgage meltdown. (see: The Sub-Prime Mortgage Meltdown ). In 2009, I wrote how the CEO of the company had engaged in fraud — Ex-CEO Of American Home Mortgage Settles SEC Fraud Charges . Now we have an issue of what will happen to the many thousands of sub-prime mortgage files sitting in a storage room of the now-abandoned company’s Melville, Long Island headquarters — a five-minute drive from my Woodbury office. What Happens to Mortgage Files When a Mortgagee Goes Out of Business? American Home Loan, which hasn’t operated since it collapsed in 2007, has been in a Chapter 7 bankruptcy liquidation proceeding for several years now. Earlier this week, the operating trustee asked the bankruptcy court for permission to destroy 4,100 boxes of loan documents. The trustee is arguing that the local fire marshal wants the boxes of mortgage files removed as it is posing a fire hazard. The trustee is also complaining that it will cost too much to move them and that they should instead be destroyed. Paying to remove the file boxes to a storage facility costs money — money that would have gone to the creditors of American Home Mortgage who filed claims in the bankruptcy proceeding. The cost of having maintained storage of the files was approximately $15,000 a month. Two years ago, the trustee had made a similar request which was approved, and several thousand boxes were destroyed at that time after banks and other loan servicers had been given a chance to pick up the files but neglected to do so. Now there are 4,100 boxes left. My guess is that each box contains 20 files, meaning that the boxes contain the records of nearly 80,000 sub-prime mortgages. Is Evidence of Mortgage Fraud Being Destroyed by Destroying the Mortgage Files? Since the earlier batch of files was destroyed, the subject of mortgage fraud has risen to become major headline news. 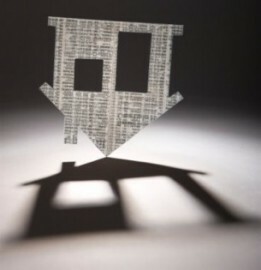 The robo-signing scandal only became national news this past October when it was revealed that incredible numbers of original mortgage documents were missing and new documents were created for the purpose of bringing foreclosure proceedings. See: New Forelosure Law in New York Requires Attorneys to Verify Foreclosure Papers . That led the attorneys general in all 50 states to immediately begin investigations into foreclosure procedures, improper mortgage assignments, and all sorts of other mortgage document deficiencies. Also in the past few months, we have seen massive amounts of evidence turning up all around the country showing that original mortgage loan documents were never transferred as required when the mortgages were securitized and sold to investors. Now, these ever-so important mortgage files are about to be destroyed. Yesterday the Delaware Bankruptcy Court approved the trustee’s document destruction request. However, a Legal Aid Society attorney, who also appeared in the proceeding, was successful in requiring the trustee to set aside several hundred of the storage boxes which may contain records still relevant to some pending foreclosures. She argued that many low income homeowners were victims of deception about how much their mortgage loans would cost, and that the original mortgage files could contain evidence that they had been defrauded. This is another concept I previously wrote about in The Sub-Prime Mortgage Meltdown . Who Benefits When Mortgage Files Are Destroyed? As I mentioned, the creditors of the defunct mortgage company stand to receive a (very slightly) larger distribution. But what about the hapless homeowners who are defending foreclosure proceedings? Perhaps this could be good news for them. Judges are becoming more and more willing to toss out foreclosure suits when the mortgagee is unable to produce various original mortgage documents. The defense du jour is “show me the note!” A series of recent decisions in foreclosure cases emphasizes the importance of producing original loan documents, holding that they are essential for investors to prove ownership of the mortgages and that the have the right, known as “standing'” to pursue foreclosure. This is something I wrote about a year ago: Mortgage Companies Entitlement to Bring Foreclosure Proceedings: Prove It or Lose It . If a mortgage which was originated by American Home Mortgage is foreclosed upon (and many tens of thousands are in the foreclosure process now), then it may become easier for the homeowner to defend if the current mortgagee is unable to adequately produce sufficient paperwork. On the other hand, such document destruction can be the equivalent of a get-out-of-jail card for those business executives in the mortgage industry who took illegal shortcuts. Destroying thousands of files means that valuable evidence that can be used in criminal investigations will be forever gone. 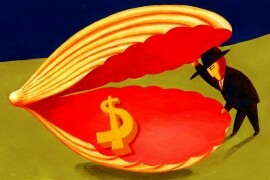 The wholesale destruction of mortgage files has become big news in several other areas of the country this week. A Bankruptcy Judge temporarily blocked the trustee of sub-prime lender Mortgage Lenders Network USA from destroying 18,000 boxes of original loan files after federal prosecutors pleaded that they may be needed as evidence in more than 50 criminal investigations. Re-establishing credit after filing bankruptcy is one of the most common questions my clients ask me. That led to me write a rather detailed article about three years ago: Life After Bankruptcy: Getting Credit Has Become Too Easy . When I wrote that post, most of my bankruptcy clients were solicited for new credit cards just weeks after their cases were concluded. Most of the concepts that I discussed in that article remain true today and I urge anyone concerned about this to read it: Life After Bankruptcy: Getting Credit Has Become Too Easy . About a year after I posted it, our current recession started and the credit market tightened up. This made it somewhat more difficult for those emerging from bankruptcy to obtain new credit card accounts. However, credit cards are back in vogue for both issuers and consumers. Banks are now eager to seek out new customers and open new accounts as they have retooled their business models to meet relatively new federal regulations that control the entire credit card industry. 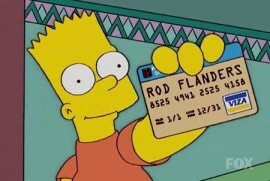 Last year credit card solicitations doubled to about 2.75 billion. Financial experts predict that there will be a double-digit increase again this year. This is good news for those considering filing for bankruptcy who are eager to obtain new credit later on. Consumers emerging from bankruptcy are once again seeing their mailboxes flooded with credit card offers according to recent news reports. Generally, consumers who emerge from bankruptcy are considered sub-prime borrowers, which is the category that includes those with blemished credit. These consumers can often get credit, but will end up paying a higher rate of interest and will likely have a lower credit limit. The most important aspect of bankruptcy and credit is that the negative weight caused by bankruptcy diminishes over time. The sooner a debtor re-establishes credit with one account, and demonstrates responsibility with that account, the sooner the next account can be opened up, and so on. The first step is to apply for a gas card or small store card — both of which typically come with a small debt limit. It is extremely important to make regular and timely payments. 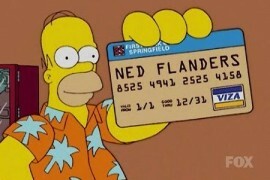 It is also important to use the card, even if it means just charging relatively small amounts. This shows that you can again handle credit responsibly. Then, after a few months, apply for a sub-prime card. These are regular Visa or Mastercard accounts offered by banks that cater to those with bad credit. The interest rate will be high, there may be a annual account fee, and the credit limit will be low. 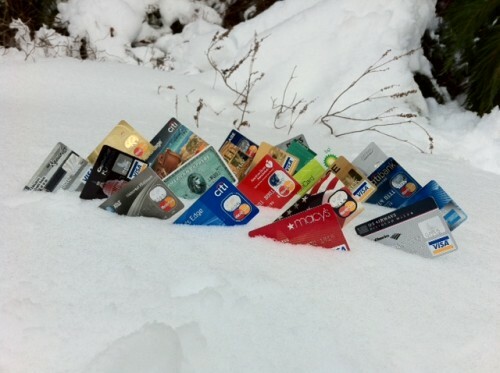 However, having a card with less than favorable conditions is temporary. 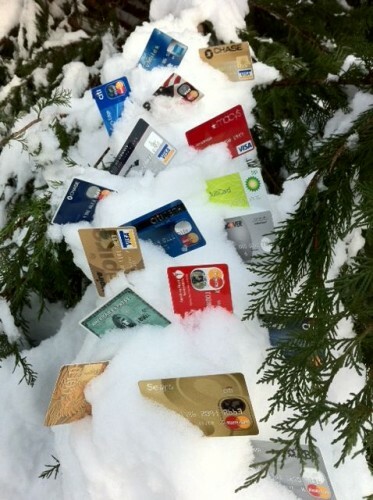 Use the card, but try to pay off all balances in a relatively short period or right away. Perhaps six to twelve months later, after having used and timely paid for purchases on these cards, apply for a more conventional card with better terms. Please see my prior post: Life After Bankruptcy: Getting Credit Has Become Too Easy . I urge my bankruptcy clients to go to any big-box bookstore and look at the dozen or so books they will have on re-establishing credit. For an investment of ten to fifteen dollars, you can’t go wrong. I am proud to announce that last year this blog won the Blogtastic Award from the Fair Media Counsil at their annual Folio Awards. The Folio Awards are given to local news and media in the New York metro area (mostly TV and newspaper) to honor significant achievement for work that is relevant to the community. The Blogtastic Award was awarded to the Long Island Bankruptcy Blog (LongIslandBankruptcyBlog.com) for being the blog that was most relevant to the community. I was recognized as publisher of the blog. The award ceremony was attended by over 500 people at the Crest Hollow Country Club in Woodbury and a total of 39 awards were presented. Nassau County Executive Ed Mangano was one of the award presenters, as were several network news reporters. Other award winners included WNBC, Fox 5, WPIX, WCBS News Radio, Long Island Business News, and Long Island Press. This past year was the first time there was an award for a blog. With so many consumers hurting from the economy, they are often tempted to run to their retirement funds first, as soon as the money runs out, so that they can pay the mortgage or their credit card bills. However, this is often a major mistake. Fidelity Investments, the powerhouse mutual fund company, recently reported that 11% of its active 401-K plan participants borrowed or withdrew funds from their retirement accounts during a recent twelve-month period. This is up nine percent from a year ago, and represents a ten-year high. Also, the amounts withdrawn are almost triple what they were last year. The biggest reason consumers give for tapping into their retirement accounts is job loss and reduction of income. However, many consumers are spread very thin financially and simply do not have sufficient funds to make ends meet. It is thus quite tempting to dip into the retirement accounts. First, you lose a lot of the value of what you are taking out. This is because there is a 10 percent IRS tax penalty and also because the funds are taxed as ordinary income. But here is how you can protect your retirement accounts. Many individuals can discharge and eliminate credit card debt by filing for Chapter 7 bankruptcy. If you can do this, you do not need to waste your precious retirement funds. Some people feel opposed to filing for bankruptcy relief but this can often be the best option to preserve your retirement nest egg. Instead of writing off bankruptcy as on option, you should consider meeting with an experienced Long Island bankruptcy attorney who can discuss exactly how a bankruptcy filing could benefit you and help you safeguard the retirement funds. Generally all retirement funds are exempt and protected by federal statutes such as ERISA or state statutes that permit consumers to exempt retirement funds even though they eliminate their debts in bankruptcy. Public sentiment these days is that mortgage banks are evil for bringing so many foreclosure proceedings against suffering homeowners in a difficult economic climate, especially when there are frequent headlines about lenders engaging in shoddy and improper foreclosure tactics. So whether justified or not, many homeowners are angry that the big banks are seeking to foreclose on their homes when times are tough. Some of these angry homeowners want to “get back” at the bank. However, if you are a homeowner in a foreclosure situation, be careful how you vent that anger. Some homeowners are taking out their frustration on the lender in an effort to get even by vandalizing their own home. While it is usually acceptable to take items of reasonable value, such as appliances, others, in an act of foreclosure rage, totally gut the home, strip it of almost everything, including flooring and plumbing, and then maliciously inflict serious damage by destroying walls, pouring cement down the toilet, creating floods by leaving the water on, and exposing the house to the elements and vermin by removing windows and doors. However, as one recent case shows, the immediate emotional relief that damaging the house brought was certainly not worth it. A homeowner who went on the war path against the mortgagee in a fit of foreclosure rage recently paid the price. Michael Zahniser of Illinois had just been served with foreclosure papers. The next day he removed the back door of his house and stripped the interior. He also removed cabinets, countertops, doors, light fixtures, gutters, pieces of siding, and tile floors. He left the house with no door and a gaping hole in the wall. He subsequently filed a Chapter 7 bankruptcy to eliminate any obligation on the mortgage deficiency, and presumably to eliminate other obligations like credit card debt. The mortgage lender, Byron Bank, was not amused and brought an adversary proceeding in bankruptcy court arguing that Mr. Zahniser should not be able to discharge his obligation to the bank under Bankruptcy Code section 523(a)(6). That section provides that debtors who willfully and maliciously injure someone’s property cannot escape liability for doing so. Last month, the bankruptcy court found that the bank proved that the debtor intended to cause injury to the bank’s interest in the house and that the debtor acted willfully and maliciously. The bankruptcy court also determined that the items that the debtor took and the state that he left the house in demonstrated that he was not merely trying to collect what would have been valuable for himself, but rather, that he was trying to deny value to the mortgage bank. In determining what part of the bank’s deficiency claim should be non-dischargeable, the court ascertained the amount necessary to rehabilitate the house, and that amount was $50,000. The court also added $19,000 in attorney’s fees to that. The case is Byron Bank v. Zahniser, 2010 Bankr. LEXIS 4623 (Bankr. N.D.Ill, December 13, 2010). In some ways the homeowner here was lucky. The bank sought to have the entire deficiency held non-dischargeable. However, the court only permitted that part which was caused by the malicious injury to be non-dischargeable. Almost all mortgages have boiler plate language that prevents a homeowner from engaging in this type of conduct. If you are a homeowner in foreclosure, think twice as to how you should vent your frustration and anger against the bank. Tax Refunds can be a big deal when factored into a bankruptcy filing — for two main reasons. First, tax refunds can only be protected up to a certain amount. When you file for bankruptcy, you can protect various assets, and tax refunds is one of them — but only up to a certain amount. In what is very good news for New York residents, the exemption for tax refunds will increase after January 23, 2011. 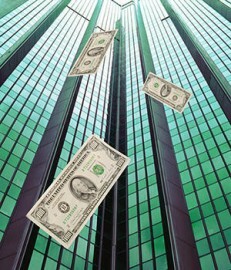 See: The New, New York Bankruptcy Exemption Statutes for 2011 . I will post a detailed article in the next few weeks about protecting a tax refund while utilizing the new, New York state exemption. Basically, each person who files who need to protect their home with a homestead exemption, can also protect up to $1,000 worth of cash, money in the bank, and tax refunds. For those who do not need the homestead exemption, they may be able to use the federal exemptions, which up until now has not been a choice for New York bankruptcy filers. The federal exemptions provide for a wildcard exemption that can enable you to protect other miscellaneous assets up to $11,975 per person That is very generous! Tax Refunds and Bankruptcy is such an important topic that last year I devoted an entire week’s worth of posts to the subject: Tax Refunds and Bankruptcy — Everything You Need to Know . I will write a few additional posts this year. A preferential payment is when you “prefer” a certain creditor, even unintentionally, and that creditor gets more than he or she would have gotten otherwise. If you file bankruptcy within a year of paying back a family member, under certain circumstances, the bankruptcy trustee has the right to sue the family member to recover the money and bring it back into a “bankruptcy estate” so that it can be distributed in a fairer manner to all creditors. Also, don’t spend the money frivolously by taking a vacation or buying luxury goods. Doing so can be considered inconsistent with the good faith necessary to receive a bankruptcy discharge. So what can you spend your refund on? Bankruptcy attorney’s fees is one. Many of my clients are able to file for bankruptcy relief in the Spring, because that is when they typically receive their tax refund. Tax refunds can also be spent on household repairs, car repairs, food, clothing, mortgage or rent payments, car payments, property taxes, fuel oil, child support arrears and some other reasonable items. 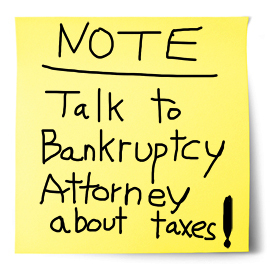 However, seeking advice from an experienced bankruptcy attorney is your best bet.